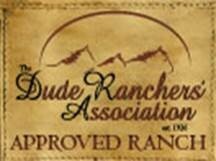 Our Montana Dude Ranch is designed from the ground up to cater to families that want closely shared family time without needing to spend every moment together. Daily outdoor activities at our family-oriented guest ranch will let you make new friends, bond with old friends, and help you reconnect with your family. You'll be amazed to watch your children and teenagers spread their wings, gain confidence and independence, and even self-wean from electronics. Our children's programs help them build experience and forge new friendships. About 40 guests per week arrive and depart on Sundays throughout the summer. In addition to a variety of full or half days on horseback for riders of all abilities, blue ribbon fishing streams, whitewater rafting, hiking and the wonders of Yellowstone Park are at our gate. 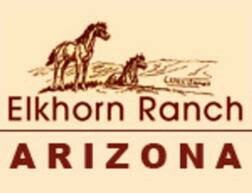 Linda Miller has managed Elkhorn Ranch since 1989. She's granddaughter to Ernest and Grace Miller, who founded Elkhorn Ranch in 1922 as a purpose-built guest ranch. Linda's warm and friendly, but no-nonsense, attitude helps guests get the most out of their vacation and feel like part of the family. Elkhorn Ranch has been part of Linda's life since she was a Peanut rider learning to love the rugged Montana landscape. To this day, she's happiest on the trail sharing the mountainous country with guests. Her parents, Jan and Bob Miller, moved between Montana and the family's winter guest ranch in Arizona until 1961, when they settled full-time in the southwest. 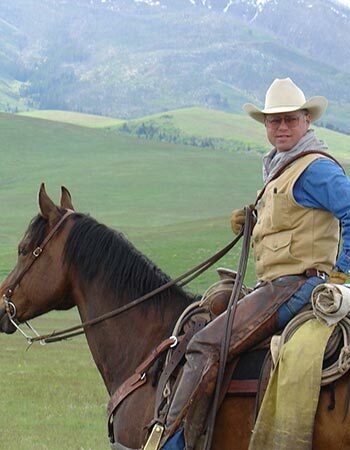 Jim McGuiness cares for a herd of more than 100 riding horses at Elkhorn Ranch, where he's worked since 1988. He has an innate ability with horses that allows him to easily pair horses with their riders. This skill to perfectly match personality and ability of horse and rider will make you feel comfortable from day one. Additionally, he brings a deep understanding of the country to send guests on rides that match their needs and what they want to experience. He is known to move heaven and earth to get anyone on a horse who wants to ride. Jim has long roots at Elkhorn Ranch. His dad, Randy, was the Elkhorn barn boss in the 60s and his mother, June, was a Peanut Butter Mother before they moved their family to a ranch in the nearby Madison Valley. You'll love the refined cuisine consistently presented by Chef Michael at every meal. Guests rave about the food at Elkhorn Ranch, almost always saying it exceeded their expectations and satisfied even the pickiest eaters. Michael graduated as a chef from The Art Institute and went on to become a chef at the Dallas Country Club and the four-star Magnolia Hotel Dallas. Elkhorn Ranch lured him away from his Texas roots in 2011, giving him an opportunity to bring higher-class food to the menu than most expect from a dude ranch. When not cooking up a storm, you can find Michael hiking around the ranch with his two dogs. He’s at Elkhorn Year round as the caretaker during the winter months. Elkhorn Ranch is part of the National Register of Historic Places. Since 1922, this purpose-built Montana dude ranch has put smiles on family's faces as they get better acquainted with the West and a slower, more friendly way of life.